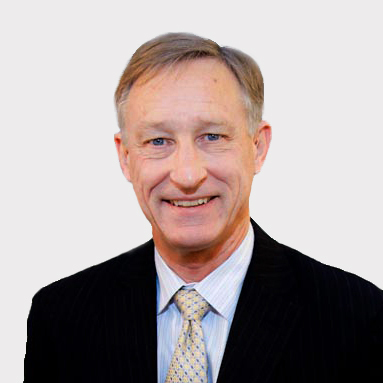 James Fischer is a practicing Associate Attorney with Mullen & Filippi and has over 30 years experience in the field of workers' compensation law in California and 39 years as a litigation attorney. He came to Mullen & Filippi after completing a 25 year career with State Compensation Insurance Fund, serving as a Deputy Chief Counsel responsible for overseeing up to 7 workers' compensation defense litigation offices. He now specializes in handling workers' compensation defense in cases for self insured plans, State entities, municipal and public agency workers' compensation plans, and serious and willful penalty litigation in workers' compensation insurance coverage matters. Prior to practice in the workers' compensation field James engaged in representing small businesses for 6 years, coming from a general practice background while living in Washington State. James graduated from Gonzaga University School of Law, Washington, in 1977 where he received recognition in client counseling competitions. He clerk/interned with the Sacramento County District Attorney. In 1974 James received a Bachelor's degree from the University of Notre Dame in the American Studies program, participated in the student life RA program and was on the University of Notre Dame Swimming team. James is an active member of the California State Bar and is a part of the workers' compensation section. He is a member of the Federal District Court System for California: Eastern District, Northern District, Central District, as well as the Western District of Washington. James is a past member of Washington State Bar and Sacramento County Bar Association. When I was young, the most interesting of my parent's friends were the ones who told the best stories. It turned out they were lawyers. From that time forward the die was cast. I was introduced to workers' compensation law in California in the eighties and was privileged to represent the small business owners and the public entity managers who needed guidance and support through what became a complicated legal system. It is hard to believe 3 decades have passed and I am still involved in workers' compensation defense. And I have a lot of great stories to share. I went skiing in Yosemite as a very small child and to this day I am grateful to ski or fish or hike whenever I can and share my experiences with family. But, I am also thrilled by playing bit parts on stage, motorcycle touring and hanging out at art museums and cafes.